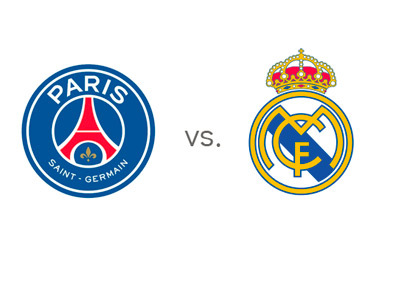 Paris St. Germain will meet Real Madrid in a friendly match at Khalifa International Stadium in Qatar on Thursday, January 2nd, 2013. This is a giant match between two of the world's best football clubs. PSG are at the top of Ligue 1 tables after the first half of the season, three points ahead of second place Monaco. Zlatan Ibrahimovic and co. also won their UEFA Champions League group, ahead of Olympiacos, Benfica and Anderlecht. in their last Ligue 1 game vs. Lille, they drew at home 2-2. Real Madrid are in third place in the Spanish La Liga, five points behind Barcelona and Atletico Madrid. Real Madrid also won their UCL group ahead of Galatasaray, Juventus and Kobenhavn. In their last domestic league game, Real Madrid beat Valencia away with the score of 2-3. Real Madrid are the favourites to win this one. A 100 € bet on Cristiano Ronaldo and his teammates could return 94 € in profit. The same bet on PSG could return 250 € in profit. The most likely score on Thursday, according to the odds, is a 1-1 draw, offered at 13/2, followed by a 1-0 victory for the Spanish giants, offered at 15/2. Remember, this is an exhibition game and it is very likely that it could be a high scoring contest. The world's most expensive player, Gareth Bale, will not play for Real Madrid due to injury. Beinsport.tv will broadcast the game in both English and Spanish. Who will start on goal for Real Madrid?